Demetrios Anaipakos is a trial lawyer recognised for his prowess at representing both plaintiffs and defendants in patent litigation and complex commercial litigation. He has tried significant patent cases to winning verdicts in the United States and has helped other clients to secure victories in international patent litigation in various venues, including Germany, Japan and China. He regularly handles all sorts of commercial litigation matters, including trade secrets litigation, fiduciary litigation and a wide array of contractual disputes. Mr Anaipakos is recognised for his general commercial litigation work by Chambers USA: America’s Leading Lawyers for Business. He has also been recognised by attorneys across the United States, making the list of the Best Lawyers in America for commercial litigation in the US News & World Report survey. Mr Anaipakos has been featured by Texas Super Lawyers since 2004 and has repeatedly been included in the Houston Super Lawyers Top 100. He has also been awarded a ‘distinguished’ rating by the Martindale-Hubbell Law Directory and has been named as a Litigation Star by Benchmark Litigation from 2016 to 2018. Mr Anaipakos has been counsel on several significant cases involving allegations of damages of hundreds of millions of dollars. He is certified in civil trial law by the Texas Board of Legal Specialisation, a distinction reserved for Texas trial lawyers with a high degree of trial experience and expertise. 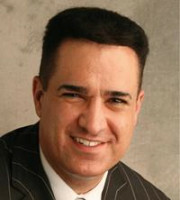 His high-profile cases and courtroom victories have attracted statewide, national and sometimes international attention. He has been featured in numerous US and international publications and television shows.